I started a new project this week. It's something I've wanted to do for years, but every time I said something about it I got looks. You know what I'm talking about. The looks that say "you're crazy" or "you can't possibly be serious" or " that's a bad idea". Usually, I pay no attention to these subtle opinions, but it was so frequent that I started to think maybe it was a bad idea. But I could picture it so clearly in my mind that I threw caution to the wind and dove in. My contractor came over to see what I had in mind. After telling me he thought I was making a mistake, he gave me a bid. It was higher than I wanted it to be (of course) so I asked him if I could help work to cut down on the cost. I don't know why I thought it was okay to ask him that, but he graciously agreed and we began the demo on Monday morning. Hubby helped that day (his day off) and I couldn't have done it without him! I should explain what I decided to do. 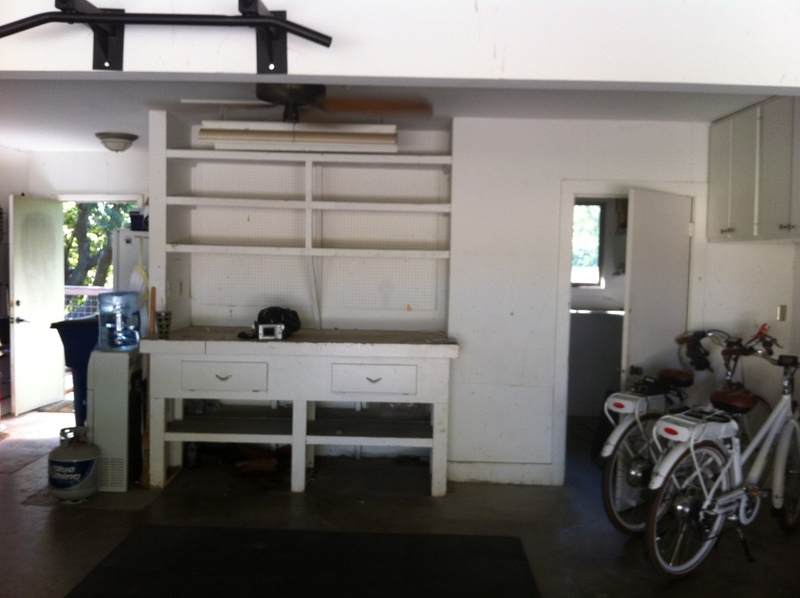 In our garage, we had some built in cabinets and 2 walk in closets. You would think it was great to have all that storage space right? The problem was, the closets were poorly designed and wasted most of the space in them. I wanted to tear out this storage and build a dining room that opened up to the backyard. Now you are probably beginning to see why people thought I was making a mistake. I wondered if I was going to miss the storage, so I emptied out one of the closets a couple of months ago to see if I would, and I didn't! 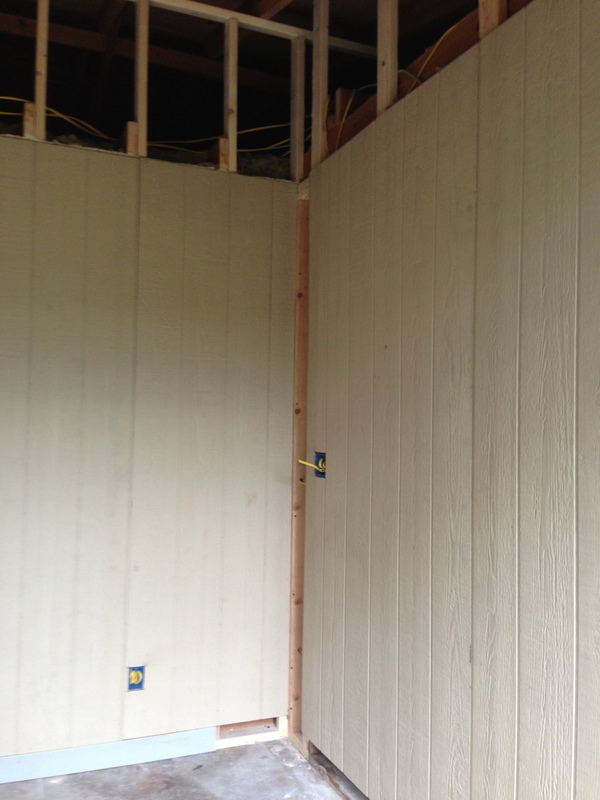 This is the walk in closet in the garage and the built in shelving. 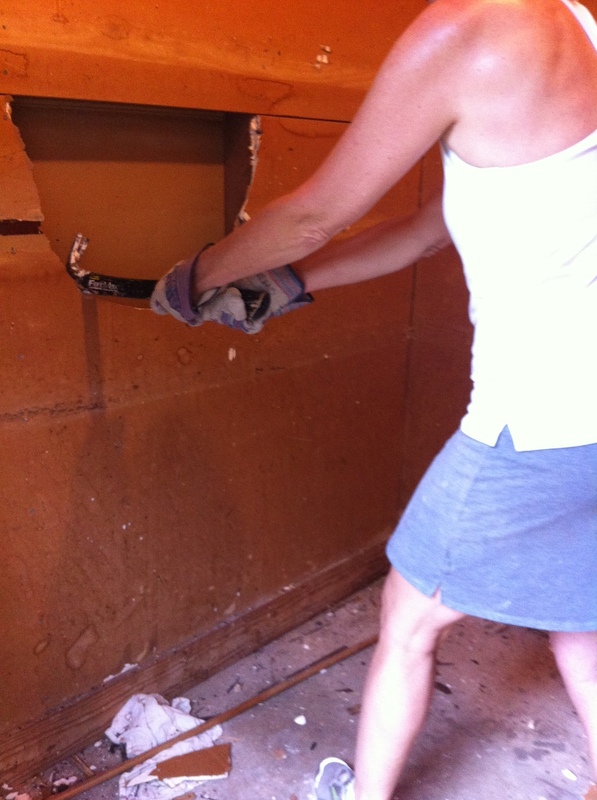 Day 1 Demo: closets torn out and back wall opened. Day 2 Demo: ceiling removed and temporary supporting wall built in back. 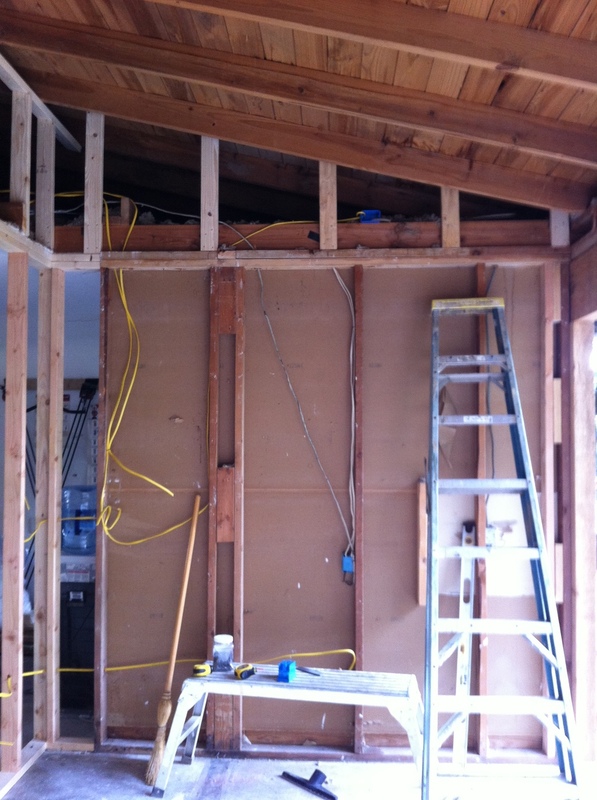 Day 3: 14 foot ridge beam installed and ceiling joists removed. I'll admit it--I'm exhausted!! That was much harder than I thought, but my contractor says that we're several days ahead of schedule because of my help, and that's good news to me. I'm so excited with the results so far! Everyone who has seen it loves it. 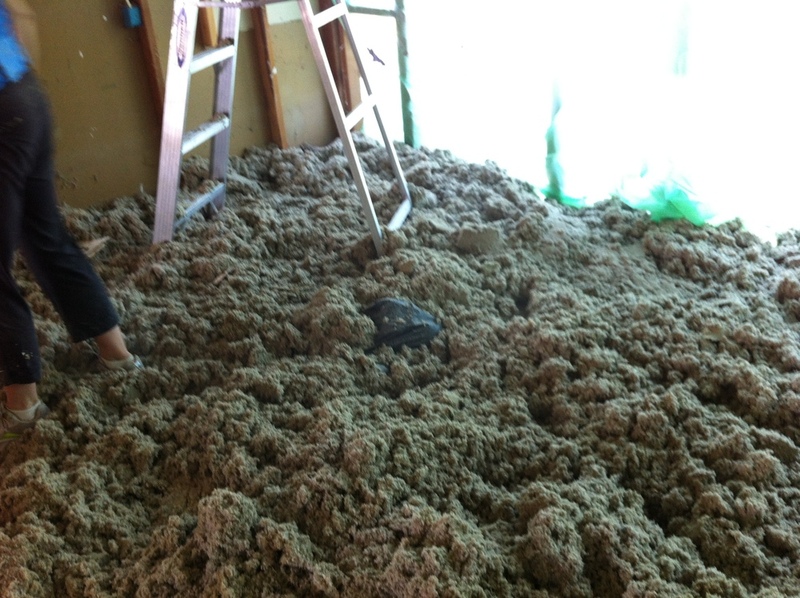 Even my contractor has grudgingly admitted he likes it. There's still a lot to be done. We need to finish the siding and electrical, build a railing, install the lighting and a ceiling fan, refinish the floors and paint. Week 2 will be full, but I'm looking forward to it. Posted in Around The Home, Outside The Home and tagged with demo, dining room, outdoor. September 29, 2012 by Lynn Adams.